This was a much overdue update. 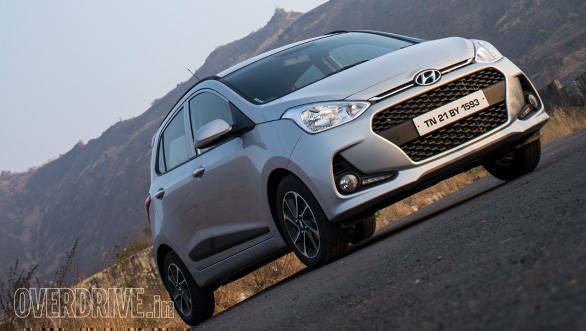 The Hyundai Grand i10 had been soldiering on without any major change from 2013. The car looked the same, and except for the cooled glovebox and introduction of a petrol automatic, there wasn't anything more done to keep sales of the car going. Not anymore though. The car gets its first facelift and this one is more than just change of sheet metal. Read on to find out what's changed. I will cut straight to the chase here. The U2 diesel engine is now 1.2-litre but still a 3-cylinder unit. It makes 75PS (4PS more than before) and 30Nm more torque at 190Nm. The change from the 1.1l to 1.2l was done to bring it at par with the Maruti Swift's 1248cc engine. A couple of dealers told us that customers used to complain about the lack of power in the older engine as compared with the Swift's unit. 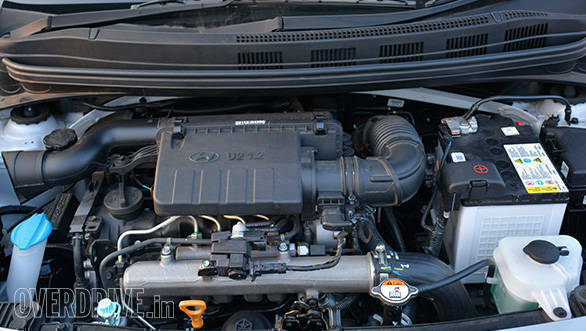 The new engine is nearly as refined as Hyundai's other diesel engines in India, even when during cold starts. Except for the 3-cylinder shake-up when you switch off the ignition, there is no give away to its roots. My first introduction to the older Grand was through a sharp biting clutch that will inadvertently cause the car to stall if you aren't careful enough. No such complaints with the new Grand i10. The clutch biting point is less springy now. I also like the fact that modulating the clutch is much easier in traffic. Speaking of which, this new engine is very tractable in traffic. While the old engine required one to downshift a few times in traffic, slot the new one in third at around 25kmph and she wouldn't grumble. She will pull in the same gear till 100kmph. When the time comes for you to use the gearbox, the 5-speed transmission offers slick shifts. On the highway, overtaking doesn't require one to downshift a gear or two. There is so much of torque available on tap that only a slight flex of the accelerator is required. Even at higher speeds, the car is stable and there isn't any noise permeating into the cabin. In our 0-100kmph test run, the Grand i10 diesel did it in 14.1s, nearly a second and half less than the older car. Hyundai claims a higher fuel efficiency than before (24.9kmpl compared to 24kmpl). In our city runs, the 2017 Grand i10 diesel returned 16.34kmpl while out on the highway the efficiency rose by 10kmpl. While the city figure is a 3kmpl lower compared with the older car, the highway efficiency has gone up by 2kmpl. Going by my past experience with the Xcent and Creta diesels, this one should return between 15-16km in day-to-day driving. While I didn't get a chance to drive the petrol, Hyundai claims that the only change they made to the 83PS power train is eke out more fuel efficiency by cutting down on the thermal losses. Now that we are done with the heart of the matter, the next important element is the looks. The grille has been revised, is broader and looks Korean. The front as well as rear bumpers are new and Hyundai have introduced new fog lamps as well. 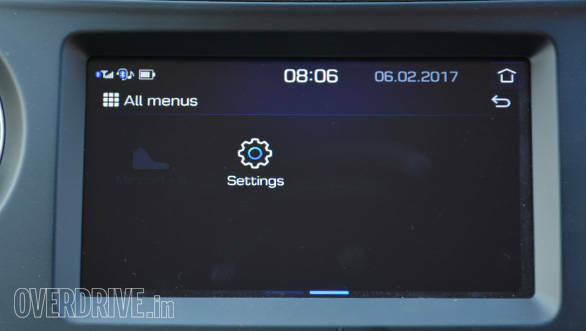 These, however, aren't the same projector units that we have seen on the Elantra and which are a part of the UK-specific model. Adjacent to the fog lamps are horizontal DRLs which go off the moment you pull the handbrake. My initial impression of the car was that it looked much smaller than I imagined it to be. I believe bigger-looking 15-inch alloys could have filled the wheel arches better. A missed opportunity there. At the rear, the lights have a slightly altered design but are still not LED units. There are large circular reflector lights on the bumper. These round off the changes to the new Hyundai Grand i10. Hyundai cars have always been good-lookers and dare I say the best in their class. The new 2017 Hyundai Grand i10 is decent looking but newer cars like the Tata Tiago look more appealing to the eye. The Hyundai Grand i10 absorbs bumps nicely, especially the high-speed ones. Road irregularities at low speed do cause some side-to-side body movement because of the slightly soft suspension. The steering is very light in the city and is a tad too over assisted even when you venture into the highway. It feels nowhere connected as say the Celerio's or even the Figo's unit. Stability in a straight line though is excellent. I also like the way, except for the tyre noise at high speeds, the engine noise doesn't enter the cabin. 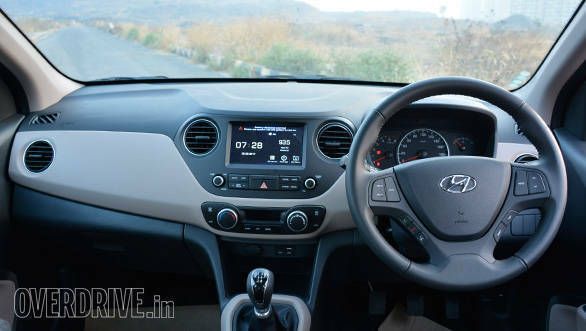 While we have noted in other tests that most of the other Hyundais do have a wooden feel at the brakes, the Grand i10's units offer plenty of feedback. They do a more than decent job of slowing down the car with the driver knowing the exact biting point of the brakes. This shows in the 100-0kmph braking times which have reduced by .3s as compared to the outgoing car (3.6s). 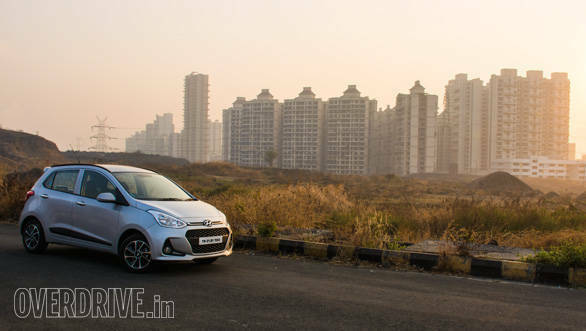 The Hyundai Grand i10 had many segment firsts at launch. 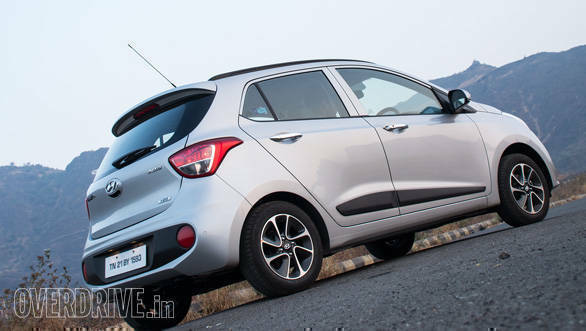 The new Grand i10, while retaining many of the features from the previous iteration, also adds a few more to the kitty with this facelift. In the process, it has also got a much needed makeover and an enjoyable low clatter diesel engine. Given that the base petrol is nearly Rs 40,000 less than the outgoing car, it makes for a more value for money proposition. 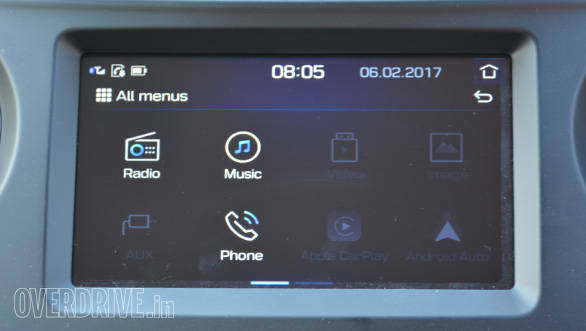 The Asta diesel trim that you see here costs Rs 7.32 lakh, ex-Delhi. At this price, it is almost Rs 40,000 more than the outgoing car but offers enough equipment to justify the price. The old Grand sold close to 13k units last month. The new one, with all the updates, is expected to add significantly to those numbers. To know more about the prices of the new Hyundai Grand i10, click here.